20mph speed limit for Glasgow – under threat of very slow implementation. Glasgow City Council’s Sustainability and the Environment Policy Development Committee meets on Wednesday 03 February to consider the report instructed from Land and Environment Services (LES) following the petition submitted last year requesting the implementation of a 20mph speed limit for most of the roads and streets within the city. 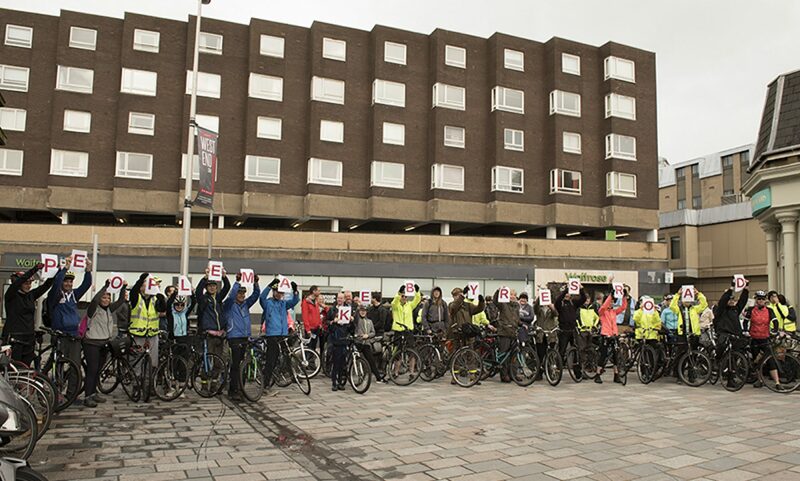 Hopefully, if you live in Glasgow, you signed the petition, which was set up by one of our GoBike! members. LES have now submitted their report to the committee and it falls far short of the remit they were given! Previous PostPrevious Edinburgh: proposed Cycle Way under threat! Please act!